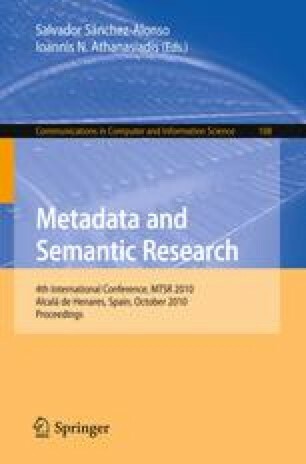 In this paper we present an application that can be used to automatically generate semantic metadata for tags given as simple keywords. The application that we have implemented in Java programming language creates the semantic metadata by linking the tags to concepts in different semantic knowledge bases (CrunchBase, DBpedia, Freebase, KOKO, Opencyc, Umbel and/or WordNet). The steps that our application takes in doing so include detecting possible languages, finding spelling suggestions and finding meanings from amongst the proper nouns and common nouns separately. Currently, our application supports English, Finnish and Swedish words, but other languages could be included easily if the required lexical tools (spellcheckers, etc.) are available. The created semantic metadata can be of great use in, e.g., finding and combining similar contents, creating recommendations and targeting advertisements.